Pictured (L-R): Rodney Crowell, Sonny Curtis, Frank Rogers, Rosanne Cash and Steve Wariner. Photo: Angela Talley. Iconic singer/songwriters Rosanne Cash, Sonny Curtis, Frank Rogers and Steve Wariner took the stage at City Winery Nashville last night (March 2) to perform the very first and worst songs they have ever written as they divulged the stories and the songs that led to their biggest hits, all to benefit Music Health Alliance. 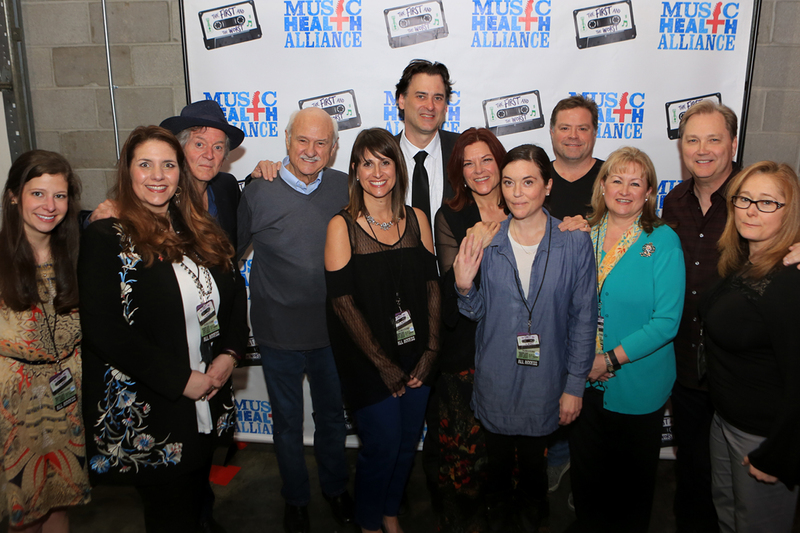 Pictured (L-R): Peter Cooper, Frank Rogers, Sonny Curtis, Rosanne Cash and Steve Wariner lend their impressive talents to “The First And The Worst” to benefit Music Health Alliance. Hosted by music historian and musician Peter Cooper, this unique event allowed the audience to peek inside the brilliant minds of hit songwriters long before they had ever written a chart-topper or had songs recorded by superstar artists, all for a worthy cause. Songwriter Sandy Knox (“Does He Love You?,” “Why Haven’t I Heard From You?”) was the first to take the stage, sharing the inspiration behind “The First And the Worst” before performing her not-so-memorable song “You Can’t Put Your Love In Layaway,” written at the age of 15. Sonny Curtis. Photo: Angela Talley. Highlights from the evening included Sonny Curtis performing “I’m No Stranger To The Rain,” “I Fought The Law” and The Mary Tyler Moore Show theme song, along with his never-before-heard “Clone,” which competed for the worst song of the night. Rosanne Cash performed her breakout hit, “Seven Year Ache.” In keeping with the night’s theme, Cash shared “This Has Happened Before,” the first song she ever recorded and one she jokingly derided for its overuse of nature metaphors and minor chords. Rodney Crowell, who also serves on the Board of Directors for Music Health Alliance, surprised the audience, joining Cash onstage to sing “I Don’t Know Why You Don’t Want Me” together for the very first time. Pictured (L-R): 2017’s “Crappy” Award winner Frank Rogers with 2015’s recipient Wynn Varble. Photo: Angela Talley.